February was a month filled with delicious Good Things. I kicked off the month of February with a most beautiful cookie. Hearts were shaped out of meringue & flooded with sweet cherry jam, making them perfect for any sweetheart on Valentine's Day. Although I'm not one to celebrate this holiday in a big way for my special one, I still like to mark it by making something delicious. These meringue hearts certainly fit the bill & were eaten rather quickly at our house (I also shared them!). My collection of copper cutters from Martha by Mail was wonderfully displayed on Martha Moments at the beginning of the month. Not only was it was fun sharing those images with you, it also gave me the opportunity to take stock of what I have. I hope the next generation of bakers in my family appreciate this cherished collection in the future. After decorating several dozen cookies for a private birthday party, it occurred to me that I hadn't shown you the tools I use for royal icing. It's important to be organized when making & creating cookies for a crowd, because it keeps the process streamlined and stress free. I know some of you have profited from that posting, so go to it if you plan on creating cookies for your next gathering. By the middle of the month, I had already marked my calendar for aunt Marg's birthday luncheon. The meal itself, which was very good, should have been photographed, but it was the cake I especially wanted to capture. Aunt Marg loves the Lemon Curd Cake I make every year because it's so good. This year, however, I thought I would change things just a tad for her. Knowing how much she loves curd, I decided on trying an orange one instead and I must say I was pleasantly surprised at how delicious it came out. I then went through the many types of cakes that would complement this type of filling. I was craving a coconut cake, so I quickly turned to those types of recipes among the dozens of cookbooks I own; I ended up making my own though. A fluffy seven minute frosting was the natural choice for the birthday cake. Adding orange juice & zest certainly perked up the flavor and made it perfect for this cake. Let's look back at February! These little jewels are deliciously simple to make & so beautiful. 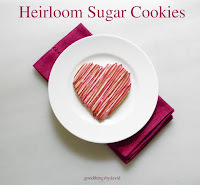 Don't wait for next Valentine's Day to make a batch. I encourage you to bake these the next time you want someone in your life to feel loved & special. In February, we were graced with a bit of snow. This was only a slight dusting, but nevertheless, the wintry landscape was beautiful this particular morning. Looking from my front porch onto the top of the hill, you can see the snow covered trees and winding driveway. I love this evergreen next to our home. Do you see the large trunk resting next to it? That maple tree came down in one hard crash onto the house awhile back! This so called mystery tree (at the time of my post, I hadn't investigated it closely) is a beautiful holly. Very nice. I just love being under snow as it falls off the trees. I thought I'd show you this shot. In order to prop up these giant copper cookie cutters (some are at least 8"), I used plastic couplers from my Royal Icing Kit! They worked, without being detected in the photographs. Aren't the cutters gorgeous? I've had many emails regarding the worth of these cutters. A pair in good condition, with all of the original print material will command a price in the hundreds (many start at around $300). Do you notice how not one plastic coupler is showing? Go read Andrew's blog entry regarding my cutters. It's very well written. This Royal Icing Kit is a must-have for those who decorate cookies year round. I've said it before and I'll say it again: I prefer using clear piping bags for royal icing. No squeeze bottles for me! I love citrus curds & this one is especially good. Buy a few navel oranges at your supermarket (don't forget a lemon or two!) and make this recipe. Any leftovers will keep in the refrigerator for 1 week. Billowy, foamy, light, yet wonderfully sweet. That's what Seven Minute Frosting is all about. I know, this is one of those types of icings that don't keep well, so make it when you know people will eat the cake (good on cupcakes too!) that same day or the next at the latest. I just LOVE this batter. I can still remember exactly how fragrant it was. Glossy egg whites for folding into cake batters should hold a good, strong peak. They should not be stiff & dry. Overbeating will cause the whites to break down, so make sure you test them before you reach this point. When baking cakes or cookies, your mixing bowl should look like this before putting the item into your oven. There shouldn't be ANY batter leftover. Using a rubber/silicone spatula to scrape out every last bit should help you along quite nicely. Golden on the bottom, but tender and white on the inside is what you'll expect from these layers. If you look closely at this photograph, you can see a few of my Great Big Mixing Bowls in the dish drainer. Look closely. You can see flecks of fragrant orange zest in the icing. I had placed the cake at the end of a table before proceeding with the rest of my photography. I showed great restraint during the photo shoot. I didn't once take a bit of coconut or any of the frosting. Uh oh! Ms. Kitty decided to investigate. When kitty cat thinks this might be something she'll eat, it has to be good! Don't worry, I quickly removed her from the area & didn't let her get any. One last sniff from the other side...just to be sure it meets with her exacting standards. A closeup of the milk glass cake stand (that's Martha by Mail & I'll be sure to blog about them in the future) and the large flakes of natural coconut. Care for a slice? Make this cake soon. You're going to love it. 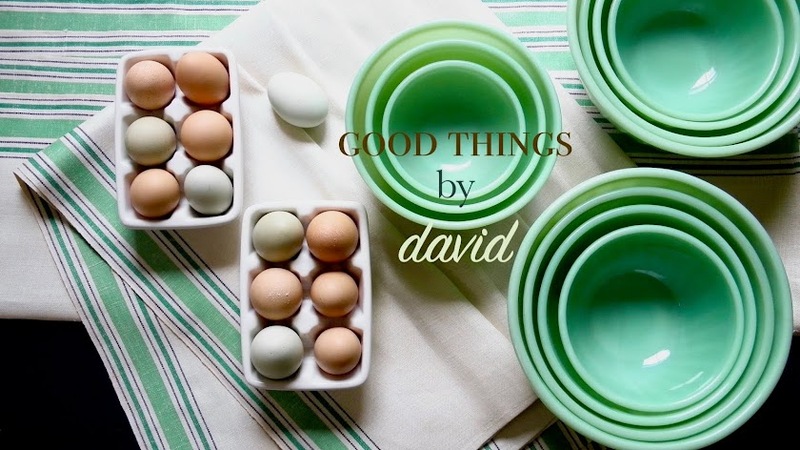 As a new follower I am really looking forward to March with Good Things by David! Thank you for the time and effort that you put in to your stories and photos. Very informative! You're very welcome! Yes, March promises lots more & I'm glad you find my posts informative. I try! Well Hello David! I just found your blog and love it all. Your pictures are beautiful.Great recipes. 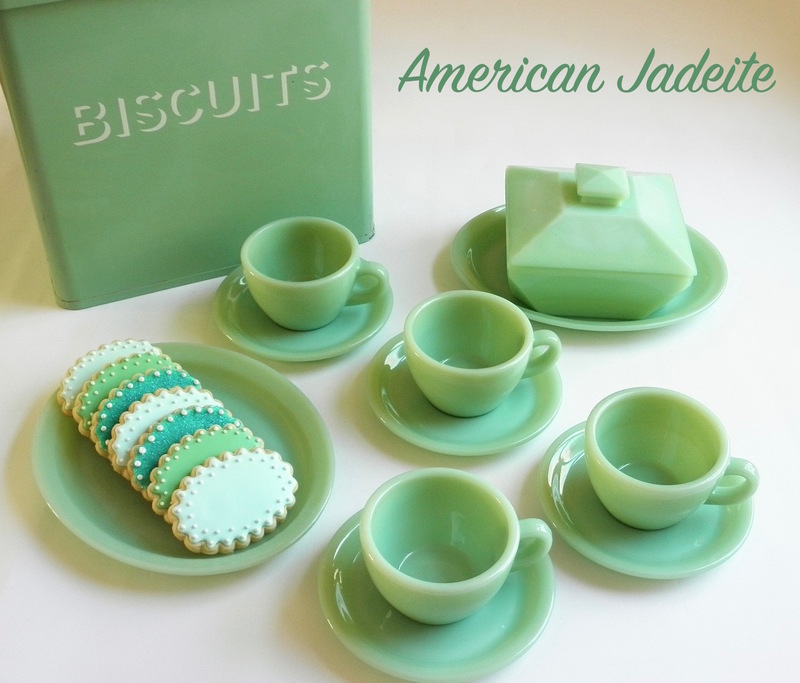 And the info on the Martha by Mail cookie cutters and all is great! I used your cleaning method on my collection and it works great.And drying them in the oven....who knew??!! It worked like a charm. I will continue to follow your blog and I am making the pumpkin bread this week for sure.Yum. Thanks for your great blog. I look forwards to the next chapter. Marion's Kid, thank you for that nice comment; I'm glad you're enjoying this blog!! Yes, drying the cutters in a low oven is a sure way to keep them absolutely dry-- I don't like having trapped water in the crevices of my cutters. Do make that pumpkin bread, it's delicious. Just found your blog and really enjoy it. The pictures of that fabulous cake with the coconut really drew me in. Fantastic! I'll be checking back regularly to see what's happening. Thanks! Trout, thank you for stopping by & do try the coconut cake if you're a baker! Very delicious. David, Made the pumpkin bread..totally yum!! It will be in my official repertoire of baking. My husband,not a fan of pumpkin, per say, also loved it. If I made it in the large quantities does it freeze well?? With summer coming I think it may be a great staple for my freezer stash. Thanks again for sharing your great recipes... the chocolate pamiers are next. Ack (!!) I accidentally deleted my own comment! Darn it!